After featuring TV and film producer Denny Morales a few weeks back I am very excited to announce That I have another very special guest lined up. Hopefully I will be posting next week, but it depends on the busy schedule of my guest allowing us to get our interview done. All I will say is that this person has worked with the likes of James Brown and Aretha Franklin. So, like I said, watch this space! … And as a bonus, here is my latest painting! This entry was posted in General and tagged Aretha Franklin, Denny Morales, James Brown, very special guest, watch this space by Bloggin With Rich. Bookmark the permalink. Sounds like exciting news! 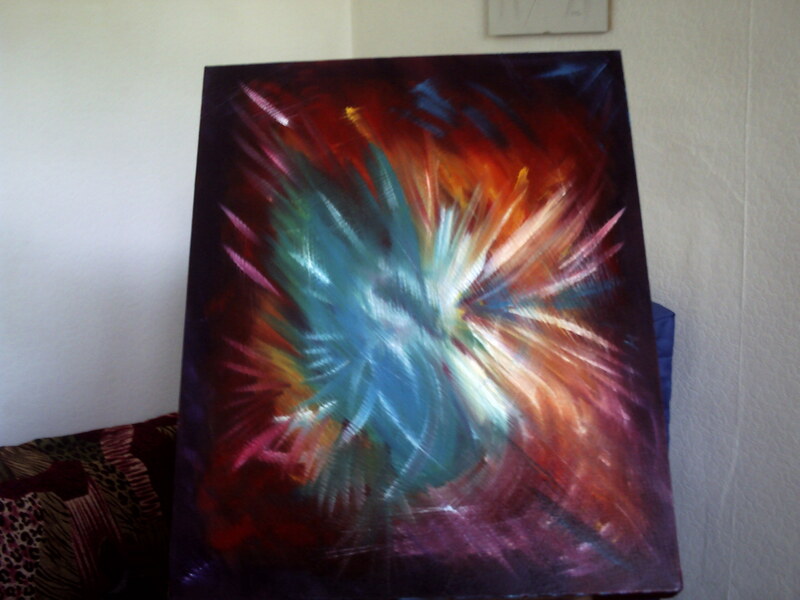 Love the explosion of colour, Richard!